Creating fabulous cakes that kids will love is a major part of any celebration, but without experience and a solid recipe, decorating cakes can be daunting. 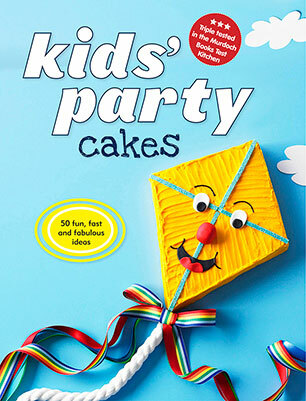 Kids' Party Cakes features 50 achievable yet extraordinary cakes that can be prepared with a minimum of fuss. The cakes are suitable for beginners and feature full-page photography and step-by- step instructions. The 'One Hour Cakes' chapter provides a variety of cakes for last-minute parties, while the useful 'Basics' chapter will demystify all cake making techniques and will help you create eye-catching cakes with ease. From princess castles and fairy gardens to skateboards and monsters, these new party cakes will delight big and little kids alike.